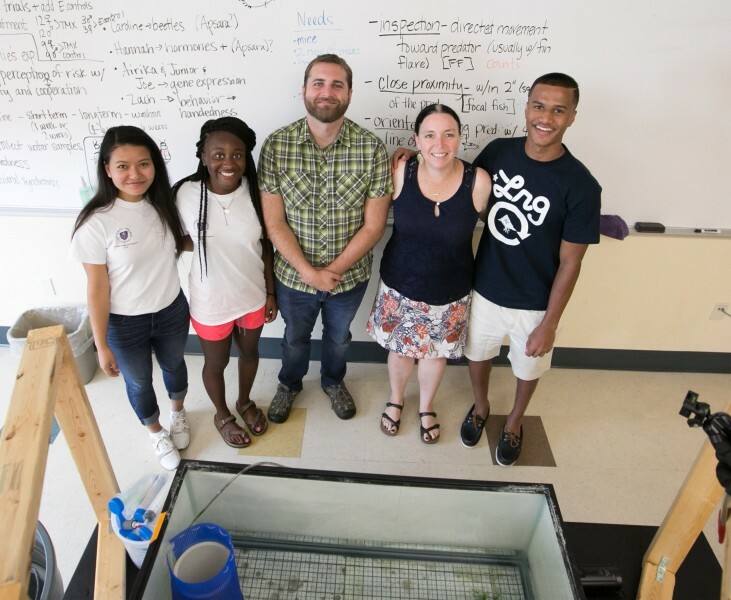 Late last spring, biology major Airika Laguerre ’20 heard about Stonehill’s S-STEM award—and the fact that students could apply for renewable $7,500 scholarships along with the opportunity to do summer research. A National Science Foundation Program, S-STEM stands for Scholarships in Science, Technology, Engineering and Mathematics. Good thing she did. Within a few weeks, Laguerre—who grew up in nearby Randolph in a single-parent home—learned she had secured one of the highly competitive scholarships. “It was a big help because I’ve always worked to help cover the cost of tuition and textbooks,” she says. 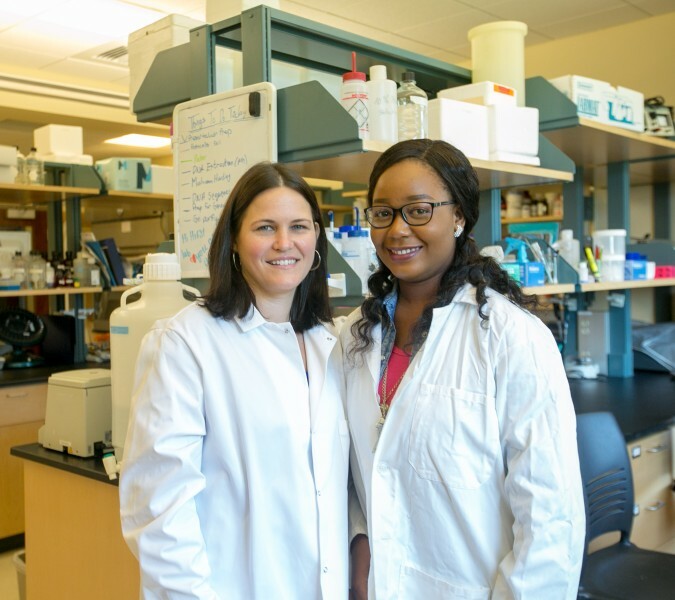 This summer, Laguerre was back in Bleakley’s lab doing research of her own. She also managed the lab, teaching other new students the ropes. Laguerre is a perfect example of the promise of the NSF S-STEM program, which seeks to increase the success of underrepresented, academically talented students who are pursuing degrees in science, technology, engineering, and mathematics. 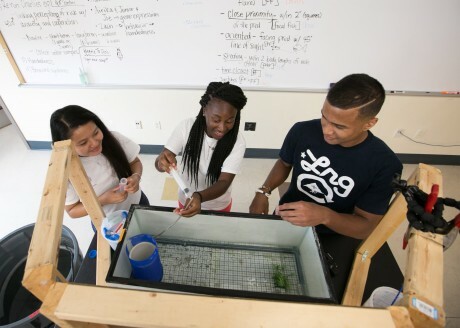 Recognizing that financial aid alone won’t get the job done, S-STEM also supports curricular and co-curricular activities that help these students persist in their academic and career pathways. Stonehill’s S-STEM program is open to rising sophomores as well as transfer students from either Bristol or Massasoit Community College. Valued at just under $1 million, this is Stonehill’s second NSF S-STEM grant. The first was a $600,000 award in 2009. 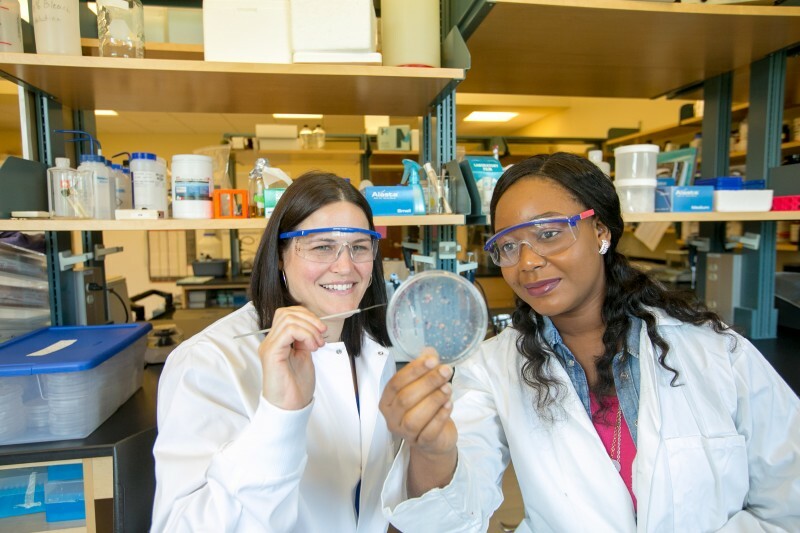 “Because we had a demonstrated track record, we were able to apply for more the second time around,” explains Professor Louis Liotta (chemistry), who, along with Rachel Hirst ’98 (biology), spearheaded the first effort. On this second grant, they are joined by five additional faculty members: Professors Ruby Gu (physics), Nicole Cyr (biology), Kristin Burkholder (environmental science), and Pamela Lombardi (chemistry) as well as Heather Bleakley. The grant got underway last summer with awards to eight students: six from Stonehill and two transfer students from Massasoit Community College. This spring, an additional five students joined them as S-STEM scholars; the goal is to fund 30 students over the five-year life of the grant. S-STEM Scholar Rachel Henshaw ’19 is another example of an academically talented student from an underrepresented background thriving in the program. After completing a two-year degree at Massasoit Community College, she then transferred to Stonehill last year and very much appreciates the ability to jump right into research. During the academic year, S-STEM scholars are also invited to monthly meetings where outside speakers—typically Stonehill science alumni—talk about their career paths. “Students discover that those paths are not always straight,” observes Professor Nicole Cyr, who coordinates the sessions with Professor Ruby Gu. Henshaw says that she appreciates the community that the monthly meetings have built among the S-STEM scholars. “We’ve started getting together on our own to talk about classes and help each other,” she says. “I did well in organic chemistry, so I’ve been tutoring other students in that.” Henshaw, in fact, has become a chemistry Peer-Led Team Leader, student scholars who work closely with faculty to mentor other students. In addition to research and the monthly meetings—both of which were part of the first NSF grant—the second has brought another innovation: a science faculty learning community. That knowledge helps faculty better coordinate support and has led to other developments, such as a scholarship fund for books and a textbook library. “We also discovered that many first-year students struggle with the math they need for science, so we’re offering a special group for math tutoring,” adds Cyr. Faculty like Cyr can testify first hand to the power of efforts like S-STEM. “I was the beneficiary of a program like this. I received a Women in Science grant as a graduate student,” she says. That award helped her continue her science education, which led her to research and to teaching. She sees being involved with Stonehill’s S-STEM grant as a way to pass it on.